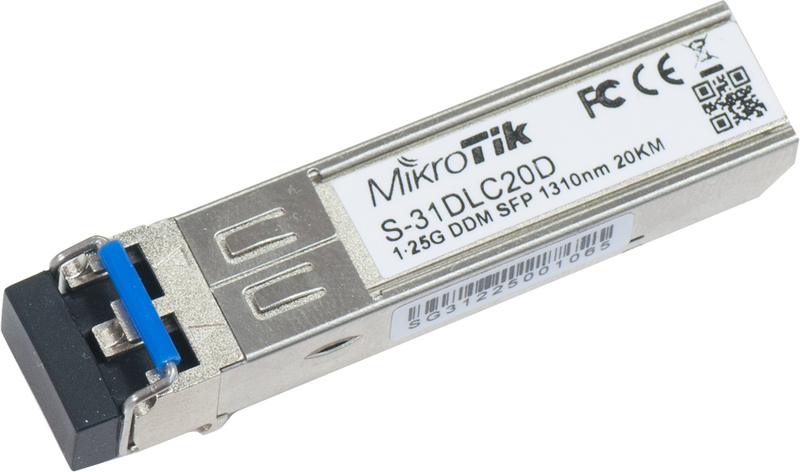 Mikrotik brand SM 1310nm single-mode fiber 1000BASE-SX Module with dual LC-type connector and DDM. Operates on standard single-mode fiber-optic link spans of up to 12.4 miles (20 km). Now with DDM support.